Pakistan Steel Cadet College Karachi Admission section positioned at Steel Town Bin Qasim, Karachi. College founded in the year of 1981. Institute comprises of four houses. Institute offered admission to brilliant students from class 1st to 12th. fall admission 2018 will be updated soon…! 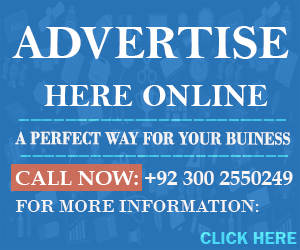 Get Admission Form on payment of Rs 1200 pay through Bank Draft. In an event, the of several sensible number of applications from UAE and Saudi Arabia entrance test may also be obtained at Abu Dhabi, Riyadh, and Jeddah. asalam o alikum i wan a know that admission test result of karachi 2013 when will annouce???? Fee Structure will be updated in the prospectus. Please do reply and obliged. 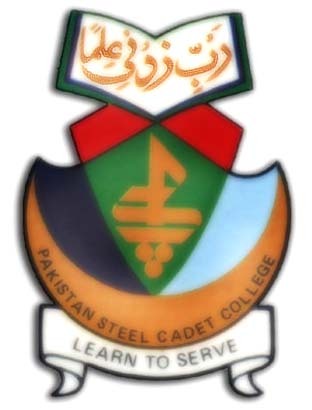 Dear Asad Aziz Siddiqui Pakistan Steel Cadet College admission after 7th Class. Student mus pass 7th class with good marks and after that college will conducted entry test of student for 8th class appearance. College session applicant will start from 8th Class not 9th Class. Our child has completed and passed his 7th grade.We live in Jeddah,K.S.A.We would like to admit him in P.S.C.C.We would like to know when the admissions are opening for Fall Semester 2014.And if the entry tests take place here in Jeddah,whom shall we contact to inquire about it.Reply as soon as possible. Admission will be start in the month of november 2014 for 8th Class. In event of several sensible number of applications from UAE and Saudi Arabia entrane test may also can be obtained at Abu Dhabi, Riyadh and Jeddah. Dear, Zafar you want to go for which degree after FSC Pre-Medical name the degree than after this I further guide how can do for more study. I have done SSC from a well reputed school. now i am interested to join Pakistan Air Force and i want to take admission in Cadet college . Is it possible to take admission in cadet college after doing SSC ? Kindly tell me and tell me the whole procedure of taking admission in Cadet college . Dear, if you want to join Pakistan Air force then you should apply as GDP Pilot after FSC. This cadet college only offered admission for 8th Class. Sir my brother has passed matriculation exam from balochistan board now he is interested to take admission in pscc in fsc pre-engineering. When admission for 8th Class announced then you get form from college and apply for admissions. No, Student age not cross to 17 should apply for admission in 1st Year. Sir belkol kesy B cadet college ma admission ni lesakty. Dear, when admission will announced for 8th Class then we have updated on the website. Get Admission Form from college then we have updated on the website. Yes, Hassan how can I help you. Dear, admission will be announced for 8th Class. is someone here to reply my comment? Yes, Waqar College has announced his admission date for class 8th. Dear, you have check admission date from post. sir plz tel me structure with hostil im from gaden east area. Dear, Fee Structure and Hostel Charges should be mentioned in the prospectus. Fee Structure and Hostel Dues will be mentioned in the prospectus of the college. Dear, this college offered admission for 8th Class only. sir can i give test now of class in 8th i want to give test if there is latefees it,s not problem i ready to gave it plz sir reply me in anyway.. Currently, admission are close now. Admission for 8th Class has been closed now for 2014. New Admission will be announced in 2015 for 8th Class. I have already answer your question.